The idea of communication, advertisement, branding or marketing isn’t really new to the world, and yet it is. The gamut of creating an ad, for a product or a service, used to be more or less restricted in terms of INFORMATION.The Best brand Communication company has now been multiplied by hundred, and therefore has more than one outlet. Communicating about a brand today is to spread information about its value, price, reliability, popularity and a lot more. The best brand communication company in India targets audiences mostly by using paid media such as television, radio, Internet, print, OOH, etc. The success of a brand purely depends on the way it is communicated across channels through different territories. From celebrating little joys of life to enriching each Indian festival today, it has certainly come a long way. Their positioning that transformed over the years from “Kuch khass hai zindagi mein” to “Kuch meetha ho jaye”, says it all. Story – Cadbury was introduced in the market as a chocolate for children; it later went on to target adults. Over the years their tag lines have changed. Their advertisements of-late have had a shift in focus; on Indian customs and traditions. This was an effort to compete and later replace the traditional sweets (Mithai) category that the Indian culture is synonymous with. In 2003, when the brand faced allegations of worms found in the product, Cadbury quickly came up with an ad campaign featuring Bollywood legend Amitabh Bachchan along with a revamped poly-flow packaging, and won back the confidence of its consumers. Another age-old brand that most of us would remember from our childhood memories during the times of Doordarshan. The brand was synonymous with its model – Deepikaji – who was a typical housewife of that generation. From a typical housewife washing her husband’s shirt as part of her chores to women helping an ambulance out from a puddle, depicting gender equality and women power, this one’s an interesting brand transformation episode too. Story – Over the years Nirma has acquired a very strong threshold in the market, being sold in even the most remote parts of the country. What started as just a small side business hit the market, and turned to be a billion dollar Company. However, in recent times, their target customers have changed from middle class to upper-middle class families. Not just for the hunger pangs in the evenings anymore but happiness every Indian can afford – clearly stating the stature of most Indian families. Story – The introduction of this brand was to solely be featured among an evening snack such as samosa, pakora or masala peanuts. A snack that could be easily made, and consumed in the evenings. There was a time when the sales of Maggi dropped due to the introduction of Top Ramen and other instant noodles, but none of these me-too brands could garner as much success as Maggi. Perhaps, they had the first mover advantage. After certain allegations on Maggi not being good for health, Nestle started aiming at introducing more health effective variants under the same brand such as Atta noodles and Oats noodles. This diversification worked for them. Perhaps, it was an input that the best brand communication would have given. In fact, it was part of a global strategy to give their brand a health and wellness outlook. 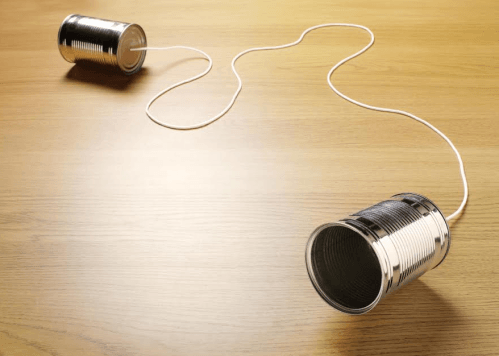 Best brand communication company – Hire One! These are a few brands being endorsed by some known & little known agencies. In fact, with brand like these, whether it’s the best brand communication company in India or a bustling new agency on the block, the opportunities for brand strategy & innovation are enormous. With changing times, these brands made sure that they keep a tab on their target audience and communicate accordingly; they made sure to bring in the required positive change in communication, as and when required. With the invention of the World Wide Web, everything is globalized. Thus, each brand has the power to make it big. Obviously, the best brand communication company in India will add the much-required zing. When you put the right word out, and target the correct audience persistently, your brand can do wonders. The loyalty of any brand, of course, needs to be justified over a period of time. The good thing, however, is the fact that the generation today is always ready to experiment. The best brand communication company in India needs to drive people, and the most famous companies that already have a strong hold can do so by selecting a few major social causes, fusing them along with their brand communication; this almost always works.